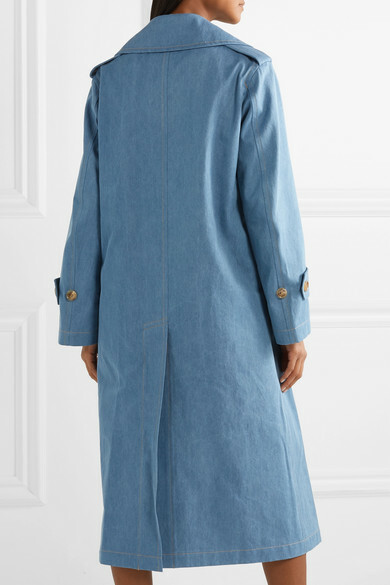 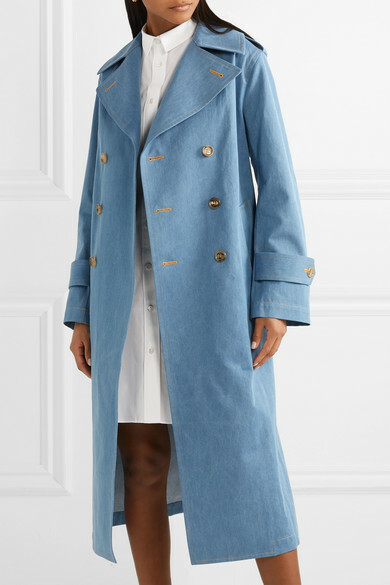 The trench coat is dropping in so many guises for Spring '19 - Junya Watanabe's take comes in blue denim. 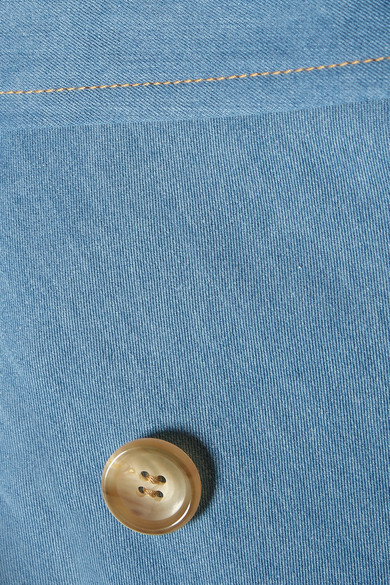 Cut for a relaxed fit, it's been made in Japan and has exaggerated lapels and a deep back vent. 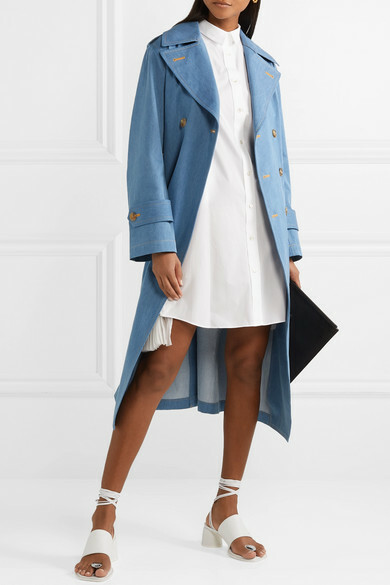 Shown here with: Sacai Dress, Ellery Sandals, Givenchy Pouch.